Adult Swim is reviving the FLCL TV series. The anime action comedy-drama is set to premiere in late 2017/early 2018. 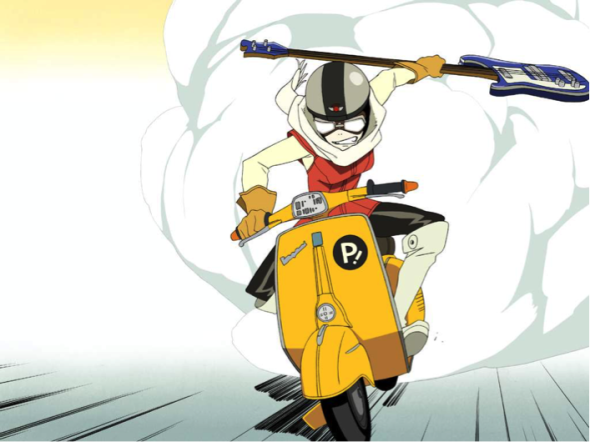 The new, two-season series is set years after the original FLCL. Series creator Kazuya Tsurumaki will return to serve as supervisor. Katsuyuki Motohiro is directing. Yoshiyuki is set as character designer. Also boarding the project is writer Hideto Iwai. What do you think? Are you a fan of the original FLCL TV show? Do you plan to watch the sequel series? More about: Adult Swim TV shows: canceled or renewed?, FLCL, FLCL: canceled or renewed?